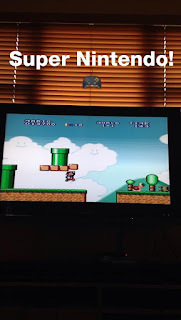 Southern In Law: Recent Things: Mystery Directions, Video Games and Joy! Recent Things: Mystery Directions, Video Games and Joy! Hellooooo! It's Friday again and that means it's time to talk about all things weird and wonderful.. you know... because we never seem to do things normally around here.. 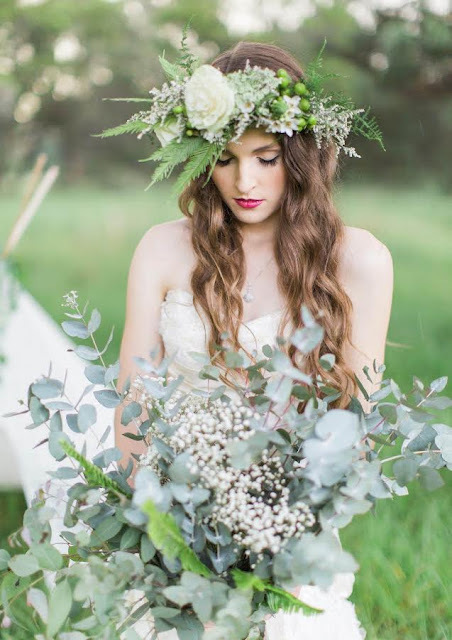 This week has been filled with busyness but also lots of fun so I have plenty to share! Recent Joy: Delivering our Operation Christmas Child Boxes! 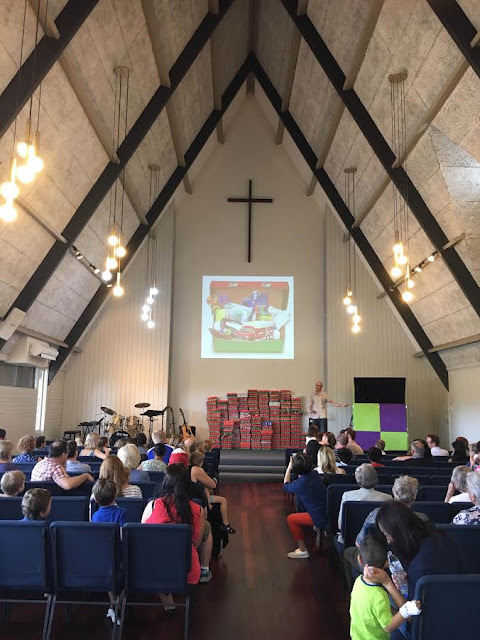 This past Sunday was Shoebox Sunday at our church at we collected over 200 boxes for OCC! All the kids were SO excited to be sharing these gifts and Jesse and I handed our boxes over to a bunch of them so they could take huge stacks of gifts up the front and the smiles on their faces were adorable. If our kids get so much joy out of giving these gifts - imagine how much joy there will be when the kids around the world receive these gifts. Recent Baking: Brownies! Jesse and I taught Sunday school on Sunday and the kids were all talking about chocolate and brownies and thus the only response was to go home and make brownies after eating lunch... right? 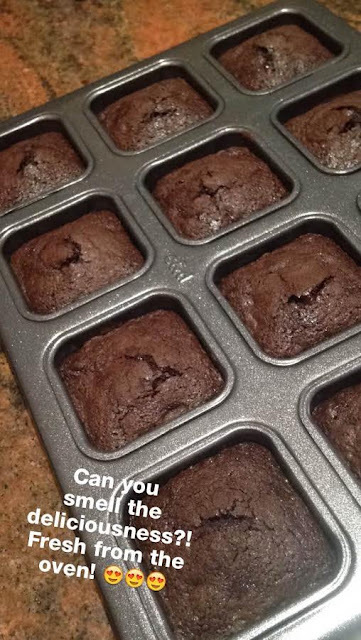 I made my Best Vegan Brownies Recipe in my all edges brownie pan because chewy crunchy topped brownies are best with edges.. right? Recent Reader Faves: I hate writing "reader" because it sounds so uppity but I didn't know what to put there so let's roll with it, pals! 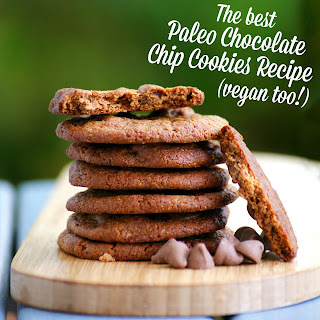 Lately my paleo recipes have been getting a whole lot of loving. 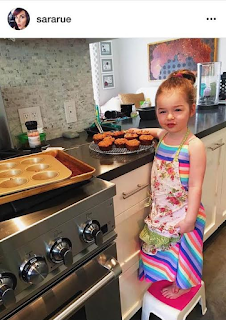 Cora was the latest person to let me know she tried my The Best Healthy Paleo Pumpkin Bread Recipe and gave it a big thumbs up whilst actress, Sara Rue, and her gorgeous little helper made my The Best Healthy Paleo Banana Bread Recipe which is still the most popular recipe on the blog of all time. 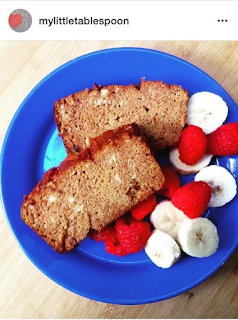 And with that recipe being the most popular of all time, the most commonly asked question of all blog-time is this; How did a non-paleo girl come up with a paleo recipe that's so stinkin' good? No seriously, I'm not going to make a paleo recipe unless it's the bee's knees AND the cat's pyjamas rolled into one and these recipes really are the best ever. 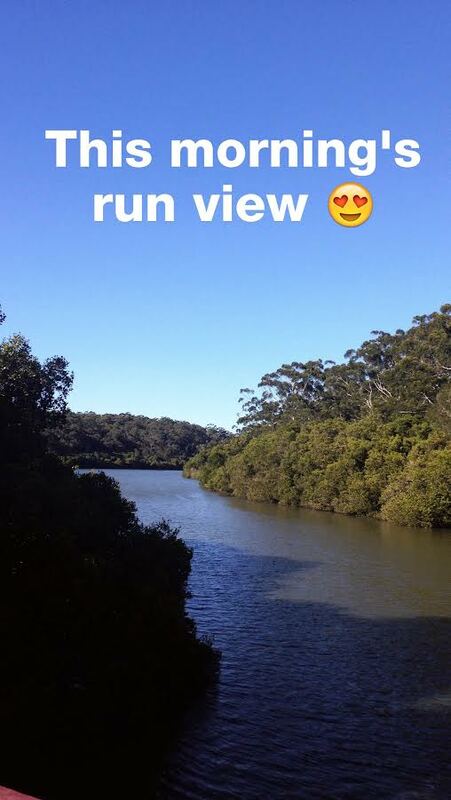 Recent Views: New run views! 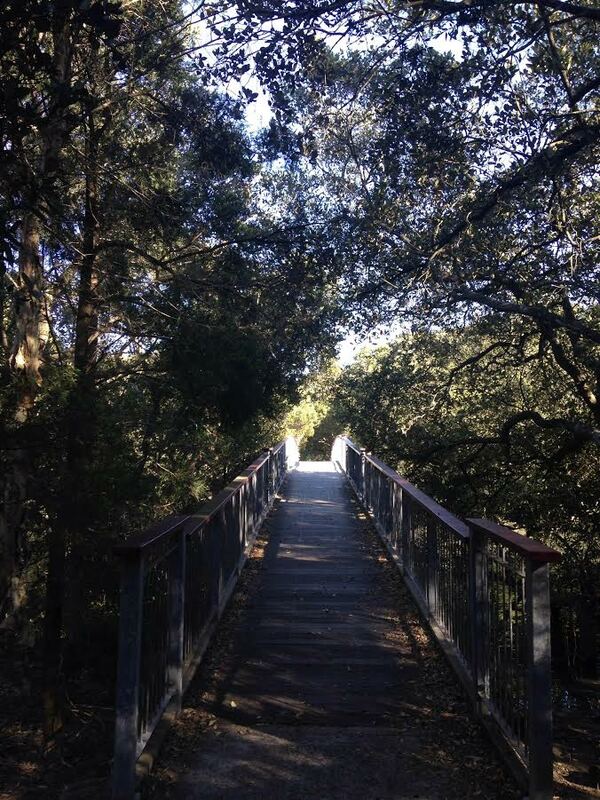 I took a new path on my run this week and I was rewarded with gorgeous views! But I have a story to tell you about that.. Recent Realisation: I should probably think more about my decisions before I get murdered. You see, I was walking through the park and about to take my regular route when I saw chalk arrows on the ground. This isn't uncommon in our park because heaps of fitness groups, girl guide troops and kids use the park for parties, scavenger hunts and challenges so chalk lines are often drawn to direct them. But I saw those arrows and thought "heck, I'm going to follow them". Granted, I knew where they were going as I've been that way plenty of times - but after walking for a while I thought "it would be really easy for someone to lure me to my death when I willingly follow mystery directions". 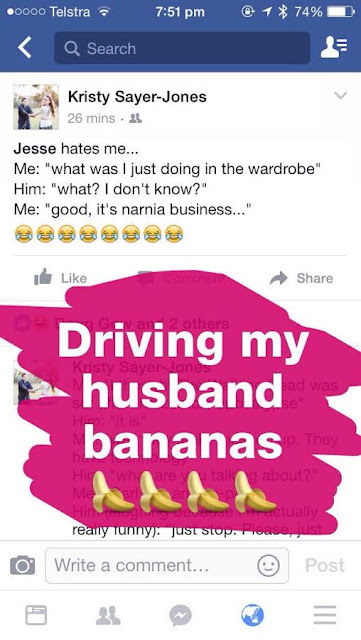 Recent Laughs: Annoying Jesse with ALLL THE PUNS! This week's best was the above; "What was I doing in the wardrobe? ........... Narnia business". 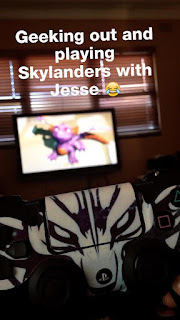 We've been playing around with video games lately after being sent the new Skylanders Game. We first realised that Super Nintendo games are really frustratingly annoying but luckily the Skylanders Imaginators game is actually pretty good. Recent Posts: The Skylanders Game was actually featured on our 2016 Kids Gift Guide as well as a whole heap of other awesome gift ideas. 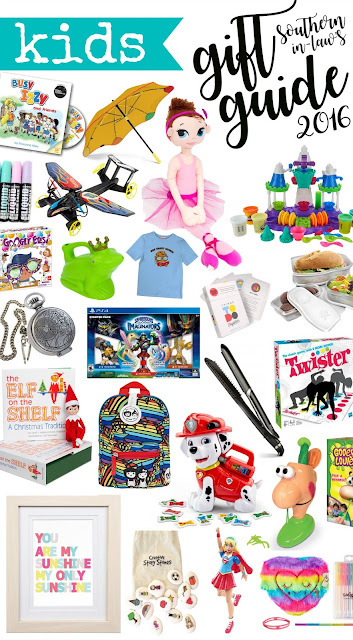 Be sure to check it out if you have little ones on your list to buy for! 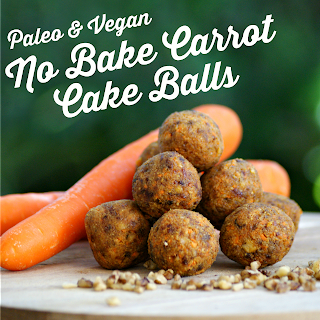 Also on the blog this week was my The Best Paleo Chocolate Chip Cookies Recipe and my No Bake Paleo Carrot Cake Balls Recipe. Does your adventurous side overtake your common sense? And what's the last thing that made you smile?